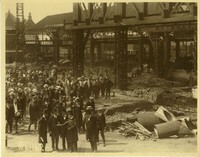 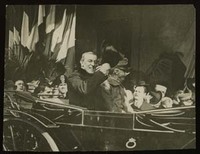 Subject is exactly "Woodrow Wilson"
President Wilson, at Marchinnes_au_Pont, near Charleroi, Belgium, where five blast furnaces have already been set up to replace some of those destroyed by the Germans. 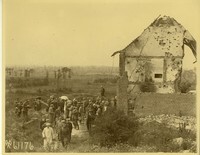 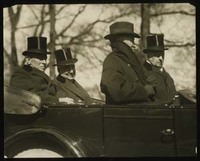 President Wilson and King Albert, passing over the battlefield near the Forest of Houthoulst. 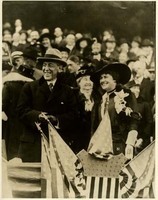 President Woodrow Wilson and wife Edith watch the season opener of the Washington Senators April 20, 1916. 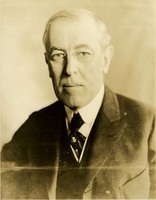 Wilson threw out the opening ball and the Senators defeated the Yankees 12-4. 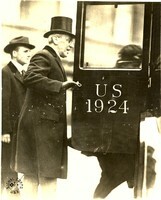 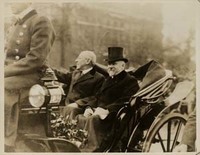 Woodrow Wilson taking part in Warren G. Harding’s funeral procession. 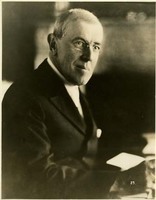 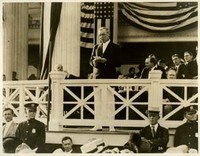 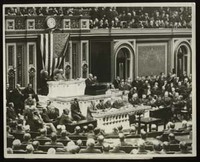 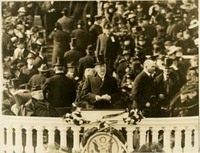 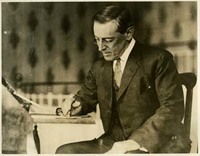 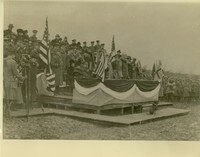 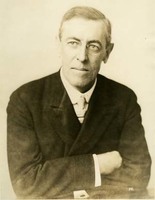 Woodrow Wilson addressing a joint session of Congress. 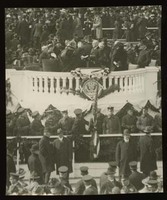 Woodrow Wilson and Edith Bolling Wilson at the burial of the unknown soldier, on Armistice Day, 11 November 1921. 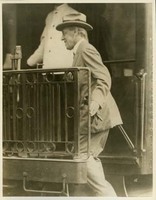 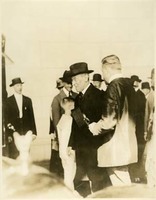 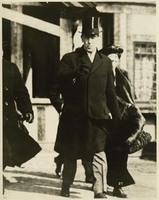 Woodrow Wilson and Edith Bolling Wilson arrive for the opening meeting of the Paris Peace Conference. 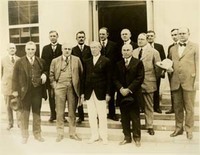 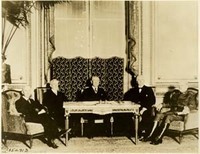 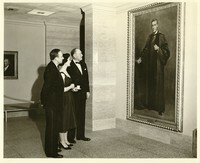 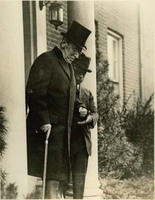 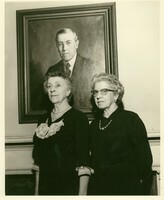 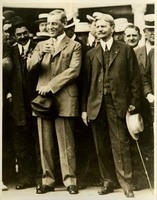 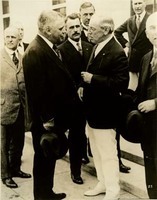 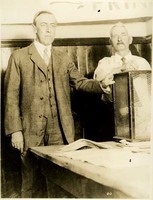 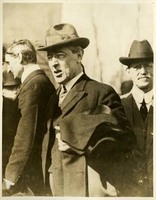 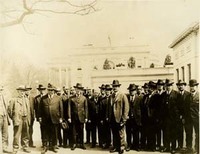 Woodrow Wilson with A. Mitchell Palmer, at a conference of state Attorneys General. 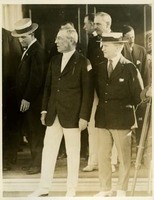 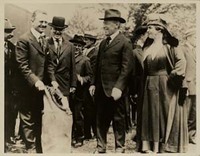 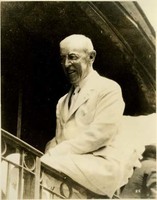 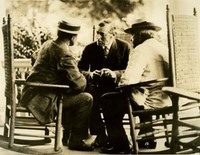 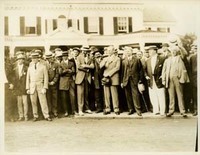 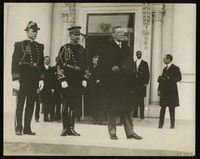 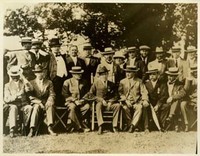 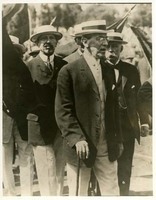 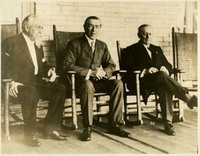 Woodrow Wilson at Sea Girt, NJ, with Governors Mann of Virginia and Pothier of Rhode Island. 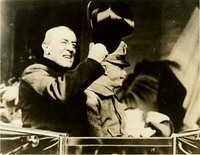 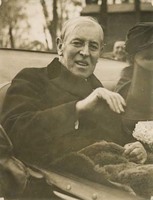 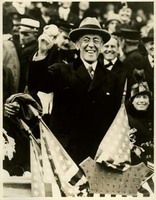 Woodrow Wilson at the World Series. 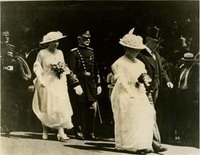 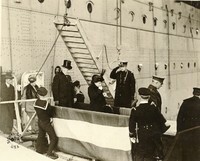 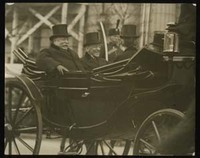 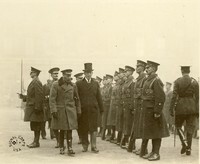 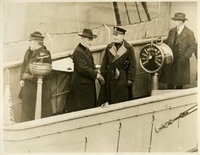 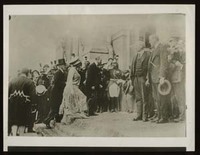 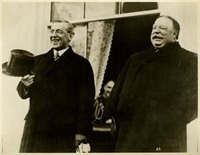 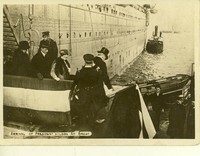 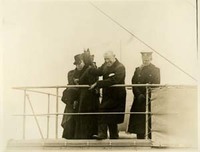 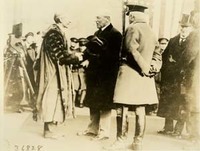 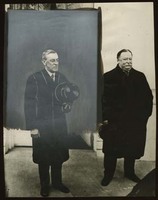 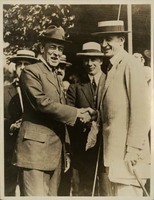 Woodrow Wilson is received at Dover, England, with Prince Arthur, Duke of Connaught. 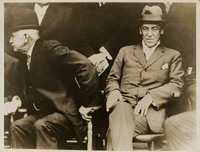 Woodrow Wilson at conference at Sea Girt. 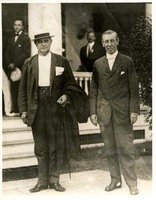 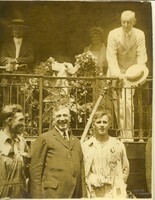 Woodrow Wilson and Champ Clark at Sea Girt, NJ. 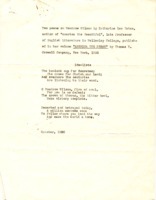 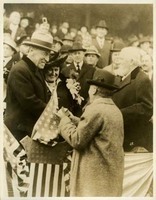 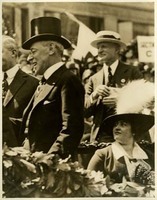 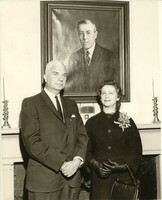 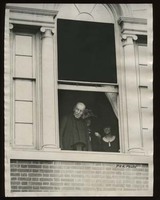 Woodrow Wilson and Edith Bolling Wilson review a Red Cross parade. 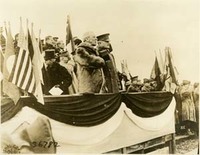 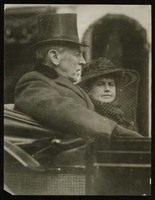 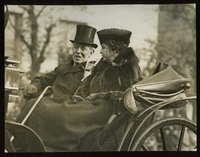 Woodrow Wilson and Edith Bolling Wilson in Wilson’s second inaugural parade, 5 March 1917.